Must I really say it? I’ll say it if I have to. But I don’t think it’s necessary. 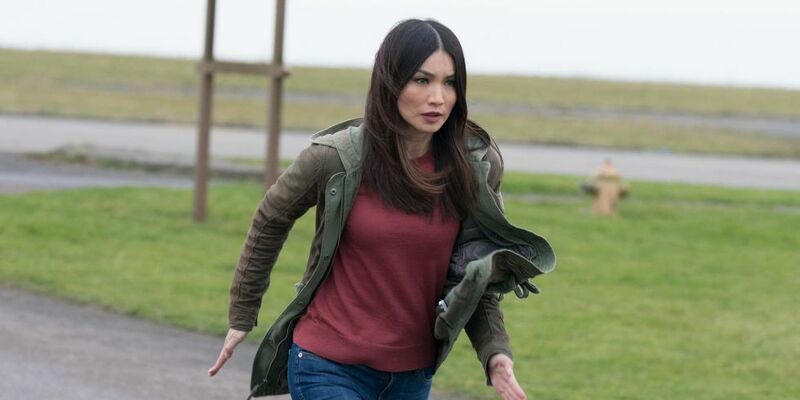 Gemma Chan is a freakin’ babe. I actually just recently saw her in Fresh Meat, which was a pleasant surprise after I watched the series on a recommendation for older shows I should see on Netflix. That being said: she plays a babe in it. 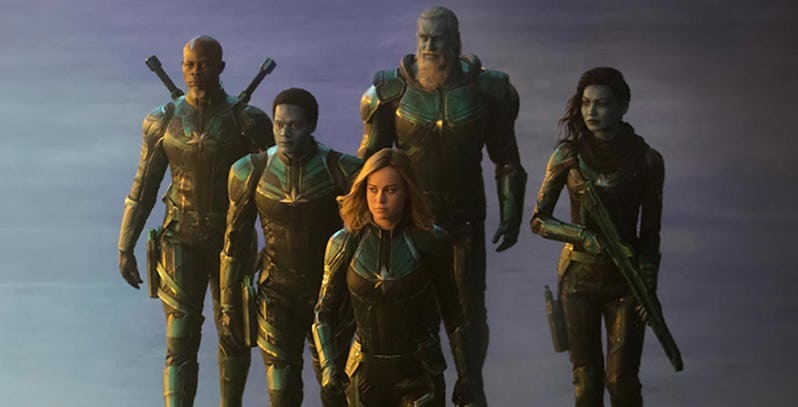 But, she’s also going to be in Captain Marvel as Minn-Erva, and was the star of Humans, as well as being in Crazy Rich Asians and Mary Queen of Scots – just to name a few. So Captain Marvel may have brought her to the site, after we’ve already seen Brie Olsen and Jude Law, but she definitely deserves a spot. Gemma Chan is actually considered pretty tall compared to the women of SHJ. She’s listed as 5’8-5’9 depending on the source which places her either in a taller range, or the tallest range! And, let’s not forget the shorter ladies of SHJ like Scarlett Johansson, Mila Kunis, Emilia Clarke, Lucy Hale, Julianne Hough and a good handful of others. This section is actually going to be a huge factor in this article. 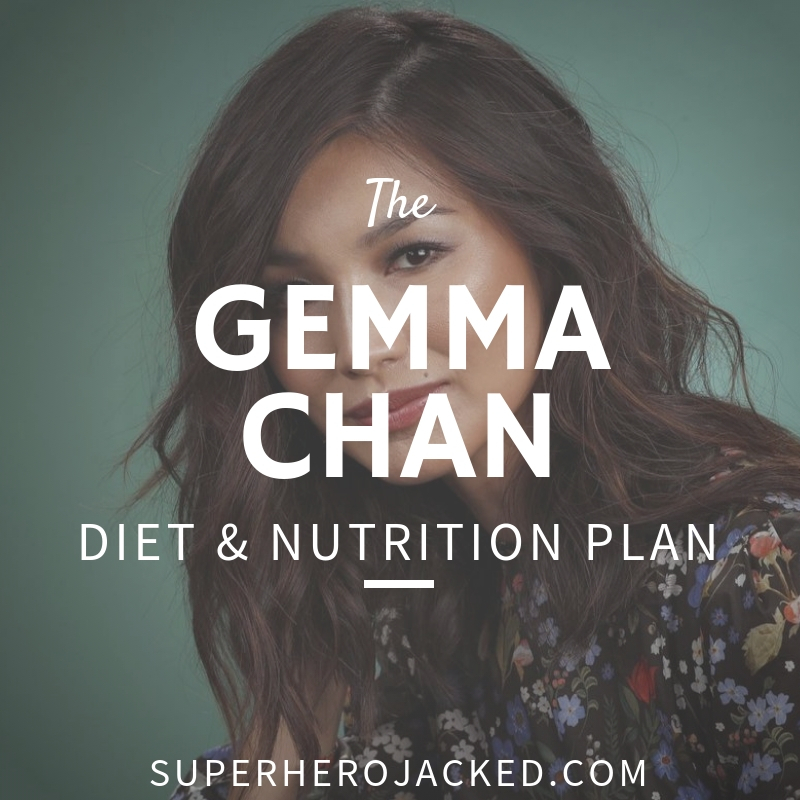 From my research on what Gemma Chan has shared, her diet and nutrition is a much bigger influence on her stunning physique than her fitness (although she does stay active). There’s even a few interviews that really breakdown a full day of her eating, which we can utilize to work on our own plates. 6.30am Straight into hair and make-up, with a mug of English Breakfast, on the set of Channel 4’s new drama Dates. Waiting for me in my trailer is orange juice with scrambled egg and bacon on toast, which I eat while I go over my lines. 8am I’m in every scene, which is quite tiring. Instead of normal tea, I’ve started drinking peppermint and green throughout the day – they’re more soothing. I graze on nuts and fruit from my set bag. 12.30pm The catering van puts out a big spread, and I always go for a big lunch – beef stroganoff with rice and salad. Then apple crumble and custard, and lots of water. 4pm Need a coffee and something from my emergency supply of chocolate to keep my energy up. Minstrels are best (they don’t melt on a hot set). 8pm Wrap filming and go home to make something simple: cod loin with basil and tomatoes wrapped in foil and bunged in the oven, with steamed beans. I’ve got 10 pages of lines to learn every day, so I read them over dinner. Can I just add that I also started my day with a mug of English Breakfast? And a few more sources actually let us know that Chan is quite fond of tea. She also makes sure to keep her diet clean and healthy, but isn’t afraid of snacking on things she loves. 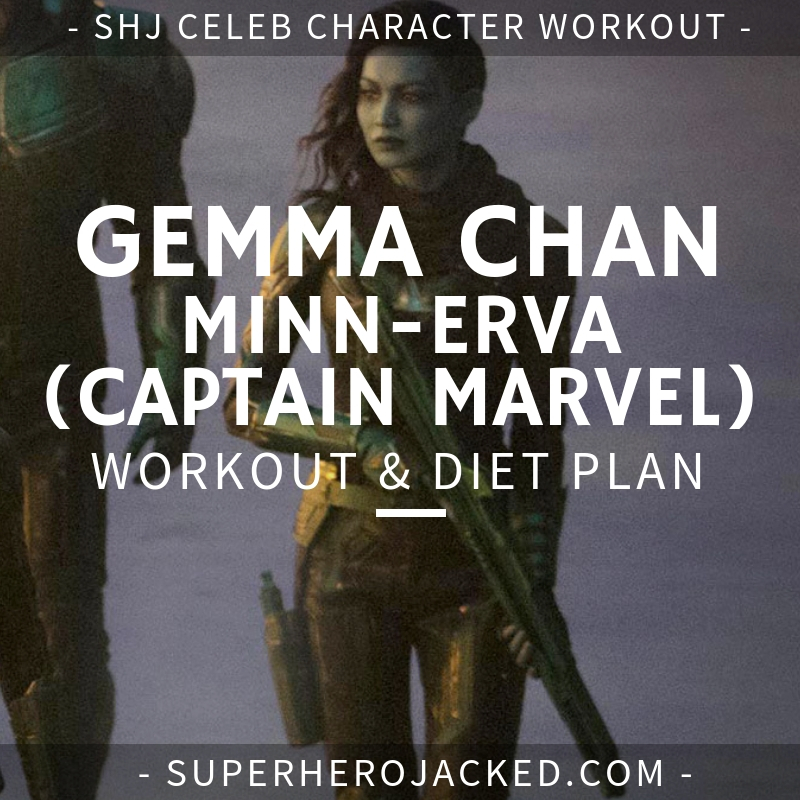 I’m going to make this very clear: the workout I create for you below is not based on anything Gemma Chan is said to have done, or shown doing; it is based around her physique and how you could achieve it yourself. 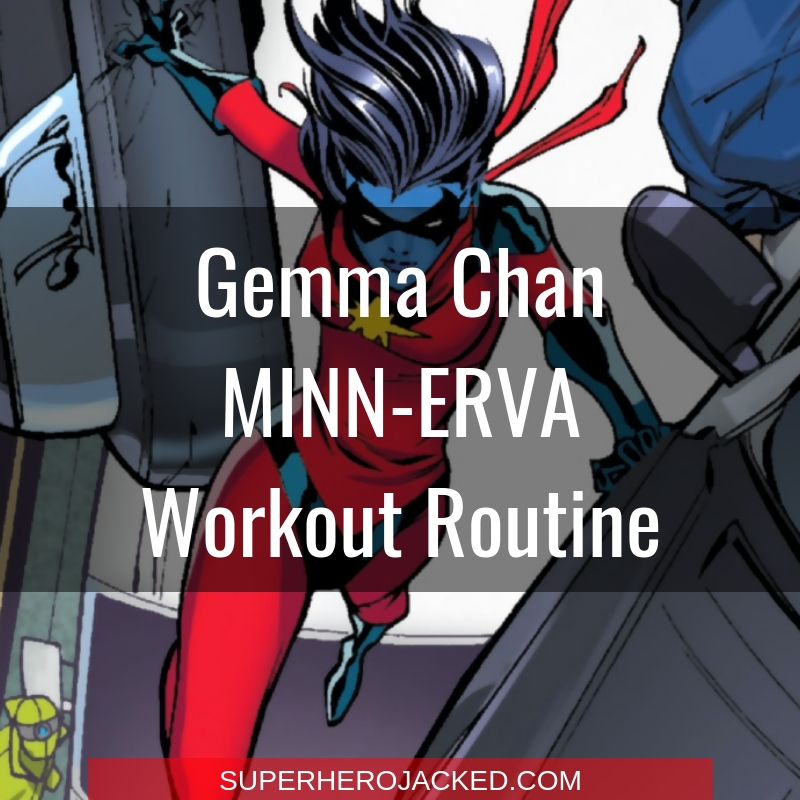 I want to start off with that, because I’m still going to share a few more things with you guys in this section, as well as talking a bit about her physique, and why we’ll build the routine the way we do. Gemma has revealed that she is not fond of exercise. However, she ensures that her diet consists of iron, vitamins and lean proteins. Well, we saw what her diet looks like, but that first sentence is definitely interesting. Okay, let’s share some fun things about Chan before I move on to talking about her physique. In an interview with The Guardian she shares some things I think you guys would find fun and interesting. As a little girl, I was quite self-conscious about my Asian features. A few kids made fun of the shape of my eyes. All the Barbies had blond hair and blue eyes, and I remember wishing I didn’t look the way I did – I was the only girl of colour in the area. 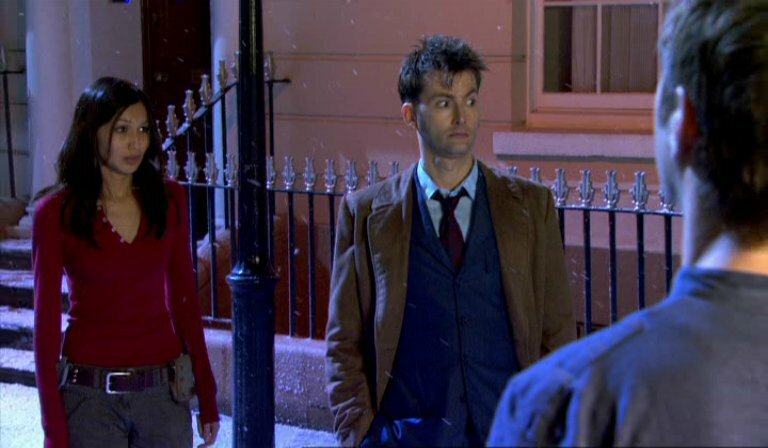 But now I’ve got older, I’ve realised what makes you different is your strength. Old books – it reminds me of the library when I was younger. What are the chances we can get her in on SHJ Book Club? A man can dream. Okay? And, while I’m completely fishing into nothing at all, she does mention ScarJo, so maybe her workout would be a good place to look as well? As far as her physique goes, it can be obtained without working out. I mean, she’s proof of that. That being said: you can also use a workout routine and certain activity to support this physique, AND obtain it. 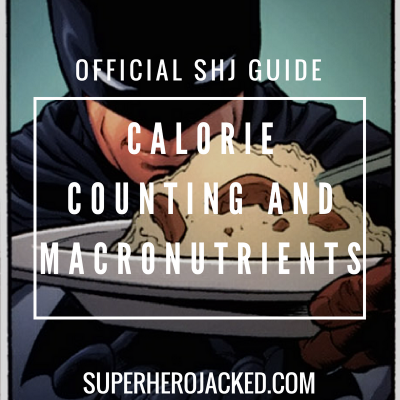 Training not only tones your muscles, but it will also burn extra calories for those of you who are looking to lose weight/fat. 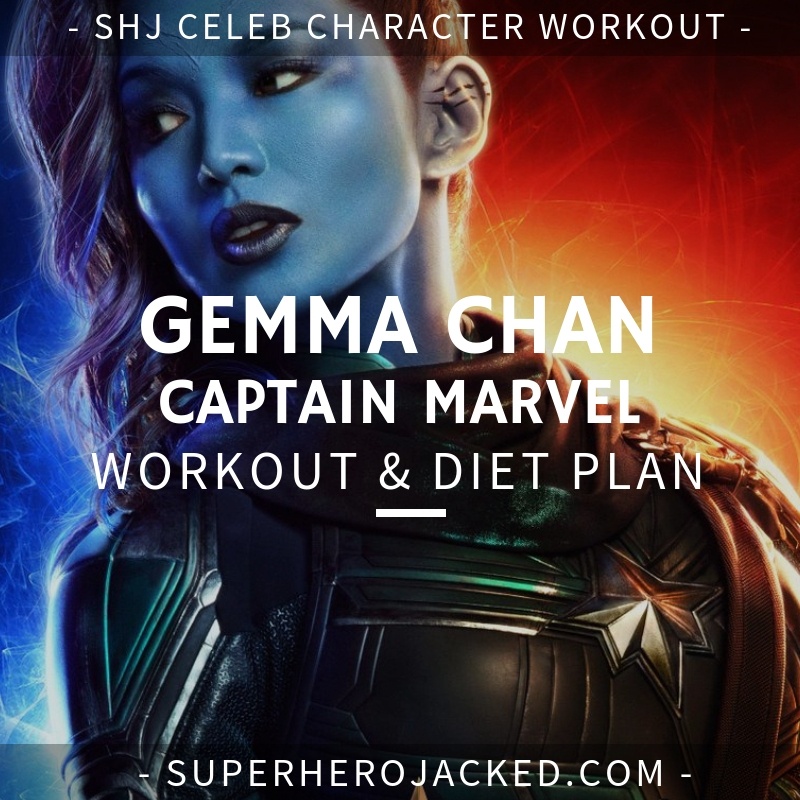 Chan has an amazing, slim, and toned physique which we will be trying to replicate via optional bodyweight and full body exercise, paired with other activity we love to utilize at SHJ. 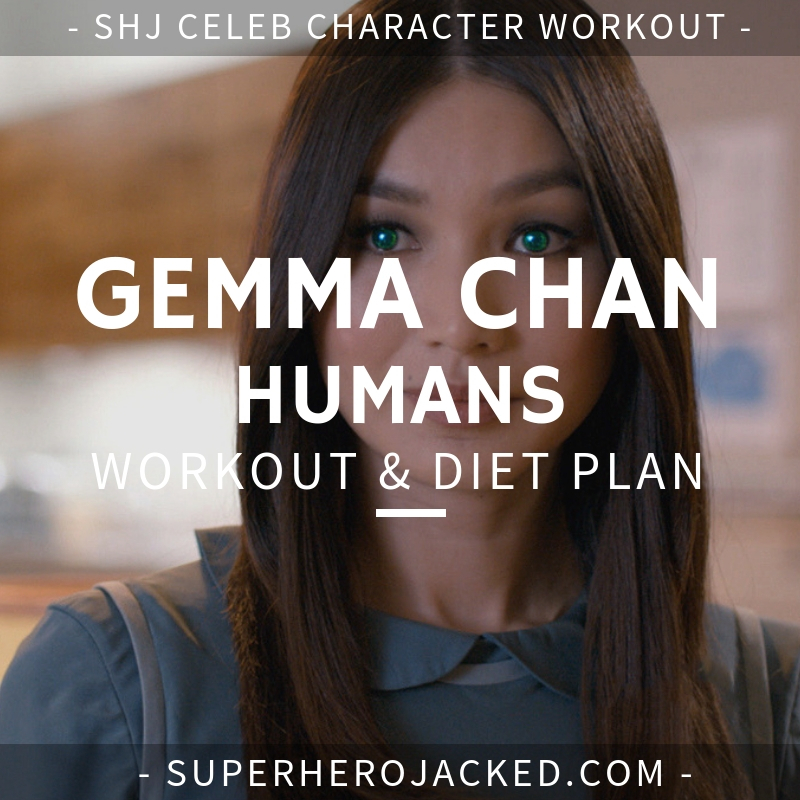 As I said above: Gemma Chan does not really utilize much exercise in her daily regime, other than staying really active via acting and her outside life. 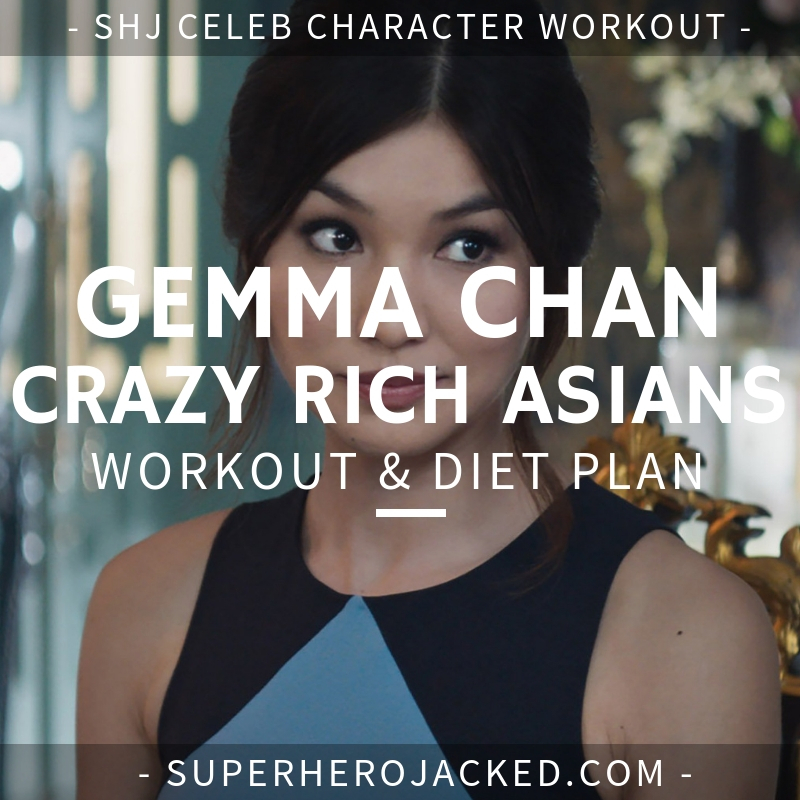 This routine is being built for you to achieve a physique like Chan’s via optional training methods below; although it can be done through the use of a healthy diet and activity. 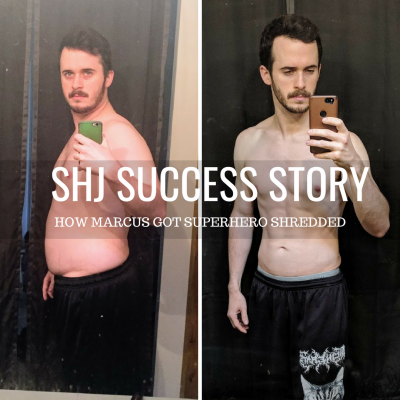 You can use both the bodyweight workout, or the full body workout, multiple times throughout the week, or opt to utilize one of the cardio or activity options as well. First and foremost is activity. Don’t be afraid to pick fun activities like sports, hiking, or anything else you like! But, I also want to give some other options. I tend to utilize some brisk walking outside, or even on the treadmill while reading. 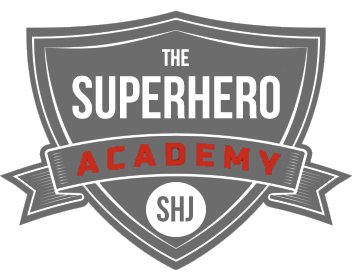 All heroes should also know how to defend themselves. Just ask MMA Coach Derek.